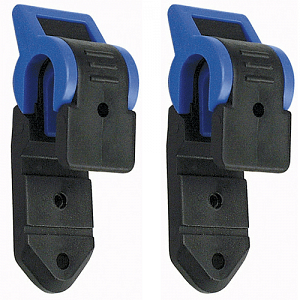 A pair of hooks with blue catch for standard racks (carriers) with tubing diameter 6-12mm. These hooks do not work with KLICKfix carrier adapter. Screws are also included.